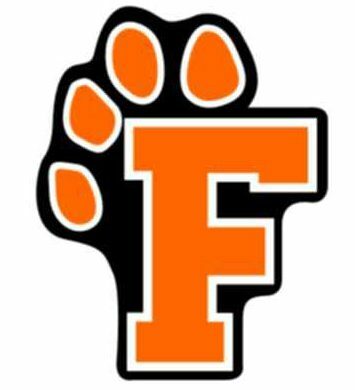 Fenton Tigers Travel Baseball is a non-profit youth travel baseball organization focused on building teams that embody the qualities of great community members: teamwork, strength, character, sportsmanship, and dedication. We have teams in both the Kensington Valley Baseball League and the Greater Flint Baseball League. They compete against teams from over 75 communities across southeast and mid-Michigan. Each team also participates in 6+ regional tournaments. Each July we host the Fenton Summer Slam, partnering with Fenton Fastpitch to bring more than 60 teams and their 700+ families to Fenton for a weekend of baseball and family fun. Our sponsors help us provide a quality program for our players, and in return, receive advertisement on our website, team banners, email blasts, Facebook page, and at our annual Fenton Summer Slam tournament. Sponsors can reach more than 2,200 families at games and tournaments. Fenton Tigers Travel Baseball is a 501(c)(3) non-profit, making your donation tax deductible. Our organization is volunteer run, ensuring that 100% of your donation goes directly to the players and program. Below are our 2019 sponsorship opportunities. Please let us know if there’s one that works for you and your business. If you have any questions please feel free to contact Dave McDermott at dave@davemcdermott.net or 248-930-0333. We only allow a single Tournament Parter per year. As the partner, you will have your company name included in all tournament communications, (Fenton Summer Slam presented by “Your Company”), a large banner featuring your logo at both concession stands, your logo on the team banners, a coupon/Insert included in information packet given to each team at the tournament, your logo featured on the tournament and FTTB websites. We will also allow your business to set up an information booth at the tournament. If you are an auto dealer you can also place up to 3 cars or trucks on display at the fields during tournament. Gold Sponsors receive logo on Team Banner, logo on Summer Slam Banner, logo on Website, Facebook and Email recognition. Silver Sponsors receive logo on Team Banner, logo on Website, Facebook and Email recognition. Bronze Sponsors receive logo on Fenton Summer Slam banner, logo on FTTB website, and recognition on Facebook page. Member Sponsors will have their logo featured on our website and be recognized on our Facebook page.